China’s Jilin Connell Chemical Industry Co. Ltd., a manufacturer of industrial gases and related chemicals, has chosen the advanced Methanol-to-Olefins (MTO) process by Honeywell UOP to produce ethylene and propylene, the essential ingredients for making plastics, from domestic coal resources. Honeywell UOP, a part of Honeywell's Performance Materials and Technologies strategic business group, is a leading international supplier and licensor of process technology, catalysts, adsorbents, equipment, and consulting services to the petroleum refining, petrochemical, and gas processing industries. The Chinese manufacturer is the ninth company to license the Honeywell UOP technology, which produces superior yields at lower cost compared to competing technologies. Scheduled for completion in 2017, the new plant will be located in Jilin City in China's Jilin Province. It will convert domestic sources of methanol into 300 kmta of ethylene and propylene. The new plant's offtake will be supplied to ethylene oxide and propylene oxide manufacturers currently operating in the same industrial park. According to Mike Millard, vice president and general manager of UOP's Process Technology and Equipment business, Honeywell UOP’s advanced MTO process is a proven process in China. They are also expecting the country to invest more than US$100 billion in coal-to-chemicals technology in the next five years, he added. "This technology has the highest yield of ethylene and propylene with the lowest consumption of methanol and catalysts, as well as the lowest operating and capital costs of any methanol-to-olefins solution," Millard said. Ethylene and propylene are the two most widely used components to make plastics in the world. Global demand for ethylene and propylene is growing 4 to 5% per year, with growth driven by strong demand for plastics and other chemicals, particularly in China. These components have traditionally been derived from crude oil. For regions lacking domestic crude oil sources, the advanced MTO technology allows for the use of other more economical feedstocks such as coal and natural gas. Honeywell UOP's advanced MTO process combines the UOP/Hydro MTO process and the Total/UOP Olefin Cracking Process to significantly increase yields and feedstock efficiency. 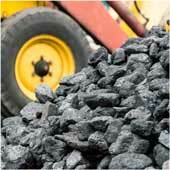 The process converts methanol from coal and natural gas into ethylene and propylene. At the heart of the technology are UOP's proprietary catalysts, which make it possible to efficiently adjust the ratio of propylene and ethylene produced so operators can most effectively meet demand for those products. In addition, the Advanced MTO process offers the lowest operating cost, quick and efficient start-up and operational reliability.